Taku Iwasaki is a Japanese composer and arranger. His hometown is Tokyo, Japan. He is a graduate of Tokyo National University of Fine Arts and Music. Iwasaki is generally known for his jazz-like score music. JoJo Bizarre's Adventure, or JoJo no Kimyou na Bouken (TV), is a long-running series about the exploits of the Joestar family. Given the epic nature of the series and how each part focuses on a different family member, it's spawned multiple OSTs. Let's see how each reflects the generational shifts! Gatchaman Crowds set itself up as a traditional superhero series about a series of super-powered teenagers combating an alien threat. Using this setup and the Gatchaman lineage, Gatchaman Crowds asks smart questions about the nature of superheroes, heroism, and technology. How did I not notice...? He did the soundtracks for Noragami and Bungou Stray Dogs!! I'm suprised people don't put this guy up there with Sawano and Kaijura. His music is fire! i recognised him immediately throughout bungo stray dogs. he always uses the same type of violins in his music (listen to "kore wa koi" of bungo and #17 of the kuroshitsuji for reference). 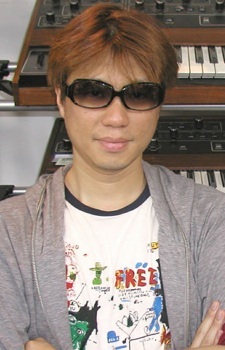 i came to him through kuroshitsuji and he's become my favourite composer in general, right up there with hanz zimmer. he can always find a way to make a song sound so sympathetic and sad, but beautiful and uplifting at the same time. every time i look at an anime and listen to the music and guess it's him, i'm right every time. he's that recognisable in his talent.